Entitled “Climate Change — In Focus,” it shows the best 100 photographs from a global competition and it’s currently on display at the United Nations’ COP22 climate conference in Marrakech, Morocco, where it will be seen by attendees who have come from all over the world. 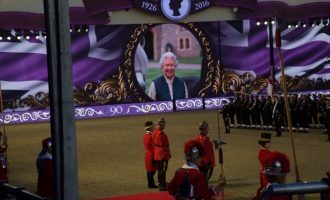 While it was also open to adults, the competition aimed to showcase the images and views of young people. The project was created by award-winning photographer Henry Dallal, who curated an exhibition from master photographers at COP21 in Paris. Global Youth Photography Competition Addressing Climate Change goes on dispaly in the Blue Zone of COP22 Marrakesh , Morroco duiring the two weeks of COP22. Geographic’s “Your Shot” who partnered with founder of the comepetion Henry Dallal, when announced at COP 21 in Paris. Henry Dallal honoured to be commissioned to take the official portrait of Her Majesty the Queens 90th Birthday. 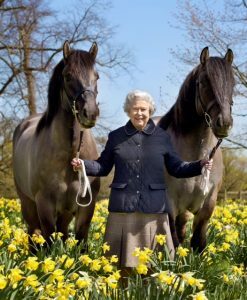 Henry has had the honour of being commissioned to take the official portrait of Her Majesty the Queen for the 90th Birthday pageant held at Windsor Castle. The portrait was taken on the eve of Her 90th birthday on a lovely sea of daffodils. 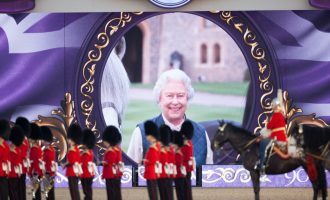 During the celebrations at Windsor Castle, one of Henry’s earlier portraits of the Queen taken for the Diamond Jubilee pageant was featured on gigantic screens during the welcoming precession for the arrival of the Royal party. 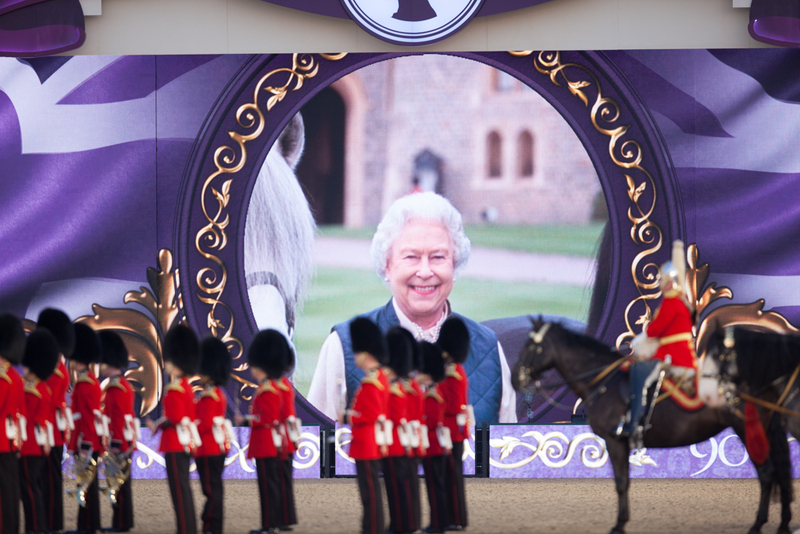 More of his portraits of Her Majesty were displayed in the Royal Box for the momentous event. 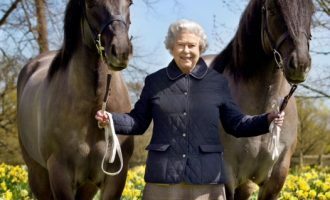 Historian, author and presenter Kate Williams introduces this special feature looking at Queen Elizabeth II’s reign in photographs, including images by Society members and Honorary Fellows. 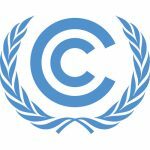 Addressing Climate Change: In Focus is a global photography competition, created to raise awareness on climate change amongst the youth of the world, giving them a voice that will be heard by world leaders and negotiators alike. 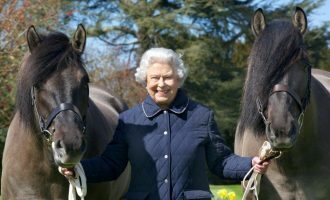 Seen through the lens of the world’s younger generation, their interpretation of climate change will be all the more poignant. UNFCCC invites Henry to exhibit his work from Addressing Climate Change in the Blue Zone of the historic COP21 conferance in Paris. 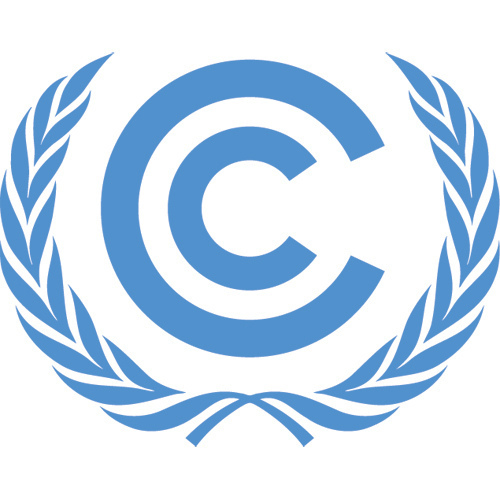 The exhibition is within the UN Blue Zone of the UNFCCC COP15 Paris Climate Conference, at the nerve centre for the conference where all attendees including high-level decisions makers, Heads of States, Ministers, NGOs, industry leaders and other key global figures are gathering. Alec Baldwin and Yoko Ono. In addition, a display of works by award-winning photographers showing the cause and effects of climate change on the planet, forms part of the exhibition. 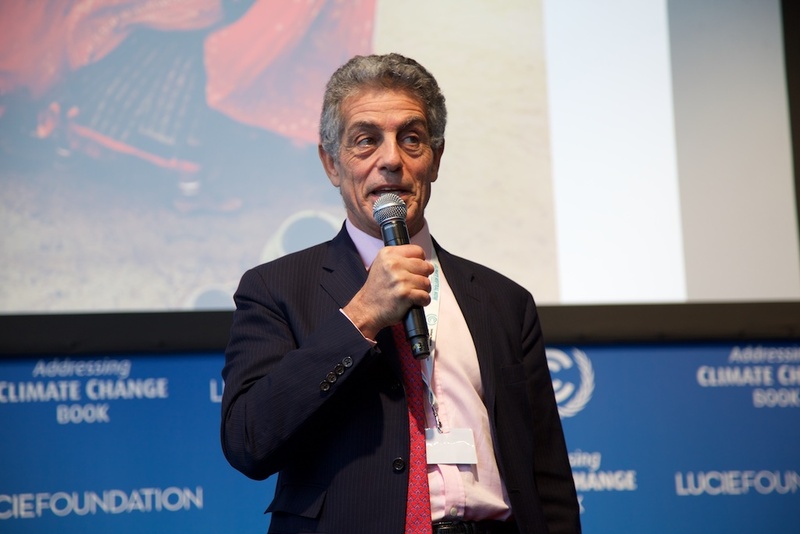 Henry Dallal says: “I am very grateful to have the endorsement from the UNFCCC Secretariat who enabled this initiative and appreciative to the Lucie Foundation for bringing on board such a wonderful collection of great photographers”. 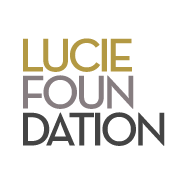 The Lucie Foundation, the creators of the Lucie Awards, curated the exhibition, and have called upon world renowned photographers, who have dedicated their lives to document melting icebergs, drought, air, water, waste pollution and the undeniable effects it has had on the planet. 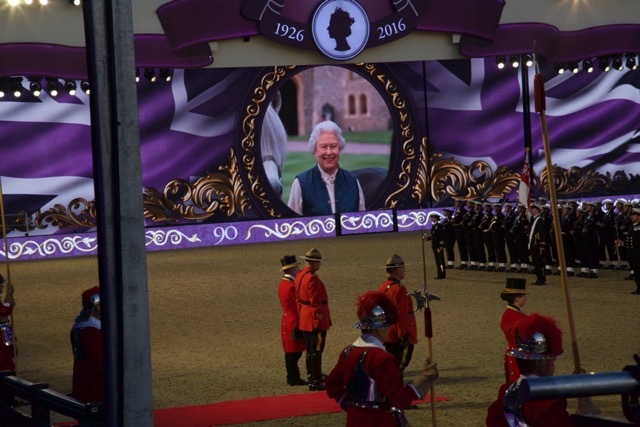 8th September 2014 (New York, NY)—In a stunning, timely new book that captures the art, science, and diversity of climate change negotiations, award-winning royal photographer Henry Dallal aims to humanize an arduous, largely-behind-the-scenes process and rally the world towards a global agreement. The September 28th release of Addressing Climate Change: An Illustrated Biography of the Annual United Nations Climate Change Conference (Gilgamesh Publishing) is being supported by a series of high-profile, eco-friendly launch events later this month in New York during the upcoming United Nations Climate Summit and General Assembly, including a major photo exhibit at the UN and a dinner/discussion at the Hearst Tower, New York’s first LEED-certified corporate building. Academy Award-winning actor Michael Douglas, actor Ed Norton, artist Yoko Ono, UN Secretary General Ban Ki-moon, and Chair of the Nobel Prize-winning Intergovernmental Panel on Climate Change Dr. R K Pachauri, are among those who have endorsed the book and its inspiring approach. Addressing Climate Change is drawn from tens of thousands of photos taken in Doha, Qatar and Warsaw, Poland where Dallal led a team of international photographers who were granted unprecedented and unlimited behind-the-scenes to the UN climate change negotiations during COP18 and COP19. These photos now represent the first inside look at the never-before-seen drama as international leaders from governments, civil society, academia and business make significant progress towards a universal climate change agreement. 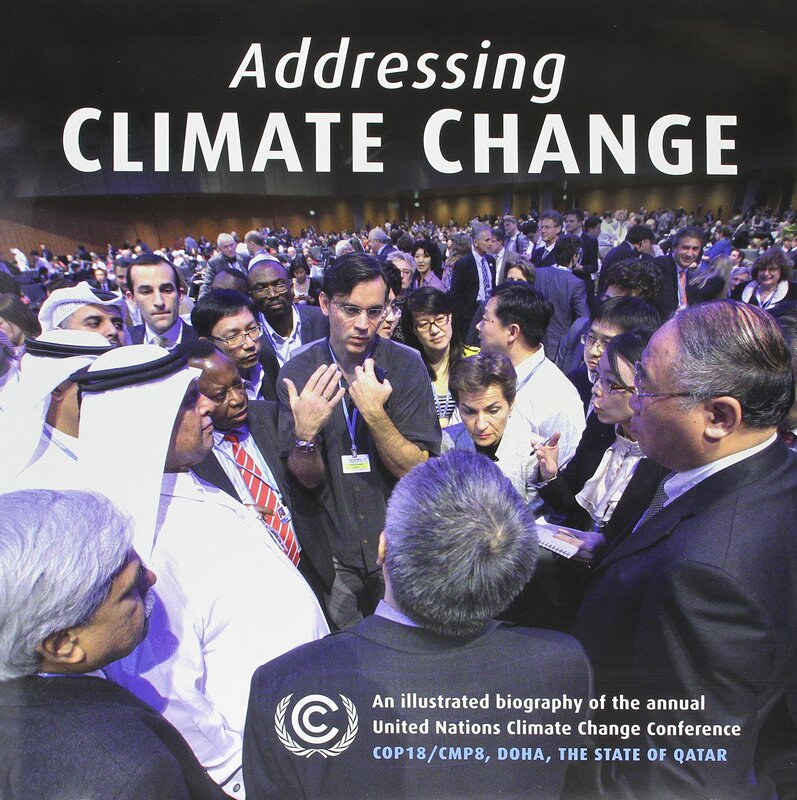 All proceeds of Addressing Climate Change’s sales are being donated to non-profit initiatives that help to address climate issues at a grassroots level, including Reach Out to Asia and others. For Media Inquiries, please contact BLJ Worldwide at +1-212-486-7070. When the State of Qatar was selected to host the 18th session of the Conference of the Parties to the UN Framework Convention on Climate Change (commonly referred to as “COP18”) in 2012, a team of international photographers was for the first time given unlimited behind-the-scenes access to the event – an unprecedented opportunity to capture the inner workings of the complicated and high stakes negotiations to reduce greenhouse gas emissions and help nations adapt to the impacts of global climate change such as rising sea levels, threats to food production and loss of biodiversity. 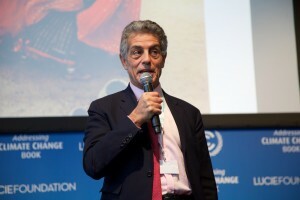 Led by renowned photographer Henry Dallal, they captured the drama as international leaders from governments, civil society, academia and business negotiated a critical package of agreements known as the “Doha Climate Gateway” and made significant progress towards the universal agreement that will be brought to Paris in 2015. Drawn from tens of thousands of images from both COP18 and COP19 in Warsaw, Poland, the book celebrates leaders from government, civil society, academia, NGOs and youth organizations who continue to drive progress under the framework of the UN to reach a global agreement on the future of our common home. UN Secretary General Ban Ki-moon, UNFCCC Executive Secretary Christiana Figueres and COP18 President H.E. Abdullah bin Hamad Al-Attiyah have each provided essays as forewords. The book concludes with a serious look at the challenge ahead by IPCC Chair and Nobel Laureate Dr. Rajendra K. Pachauri.